Kaiser Permanente was founded with an extraordinary vision to transform health care. 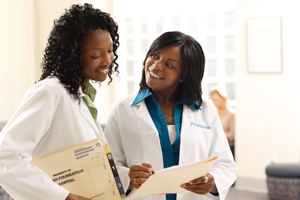 Our clinicians are always looking for the best way to practice medicine, to communicate, to use new ideas and technology, and to improve the Kaiser Permanente member experience. As one of the nation’s largest research programs, we continue to generate important findings to help caregivers and patients better understand effective new treatments and best practices. We share our knowledge broadly, so the positive effects extend far beyond our own members. With advanced health information and technology in the hands of our health care professionals, we can dramatically improve outcomes across all fronts, from effectively delivering care to empowering members to take an active role in their health. As a result, we’re able to provide the right care at the right time and make it more personalized, convenient, and affordable.